When I first decided I wanted to start a photography business, it was for two reasons. One, my love and passion for photography, and two, I could be my own boss. Well, little did I know that when I decided to specialize in newborns and babies in their first year, that it was actually the babies that were the boss of me! Hands down the best bosses I have ever had! This little sweetheart is one of my bosses, her mama purchased the Beautiful Buds Milestones Package and this was my third session with her at 9 months. And boy did this sweetie make me work. You see, when babies reach a certain age in their first year, they begin to become more aware of their surroundings, and with that they start to notice the absence of things, namely you, their parent. And this can be super scary for them, so they will begin to cry and only want to be held. Especially if they are in an unfamiliar place like my studio. Here is a great article I found on separation anxiety and how you can prepare and deal with it. 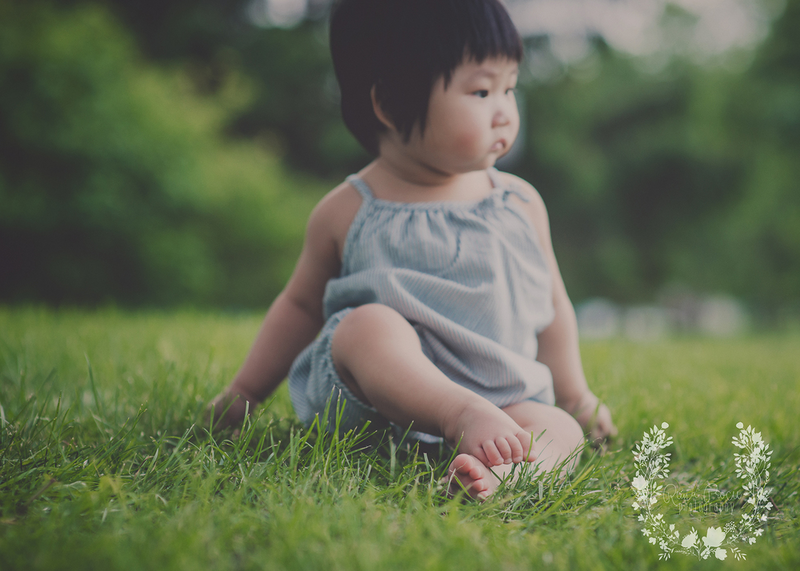 With Erica's mom's permission I am sharing her session to show you that during this stage in your baby's development you can still achieve beautiful images. Incidentally, The images where Erica is crying, her mama is within arms length of her, and she got picked up really quick before her crying got too much out of hand. To start, when Erica and her mom arrived, she was completely content with seeing me. As long as she was in her mama's arms. We dressed her in her first outfit (this is a GREAT jumper by Pup & Frank), but as soon as we sat her down we got this. After a few tries, we fed her, we consoled her, but she was just not happy not being in mama's lap. So I got her mom to put on one of my pretty gowns (This one is from Devoted Knits), and I told her to just love and cuddle on her sweet baby, and you will see, throughout the rest of the session, Erica warmed up to me! And finally she gave us a smile!!! 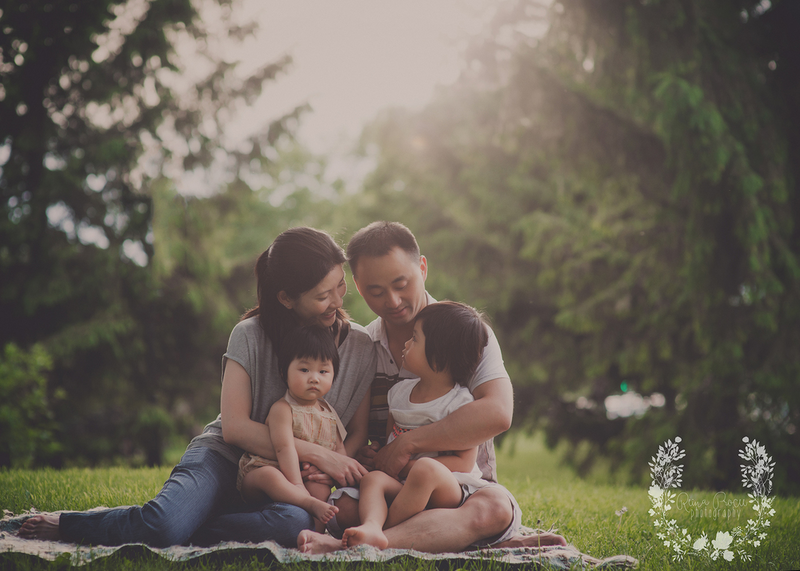 Once we got to the family section of the session (Her mom opted to change the family portraits from the 6 month session in the winter, to this session in the summer), Erica was much happier and was even up for sitting in the grass for the first time!! It just took time and patience to let her warm up to me, and I got lots of patience for these sweet adorable babies! Be sure to email me to get your copy of the Beautiful Buds Welcome Guide to get all the information you need on pricing and what to expect with your sessions!